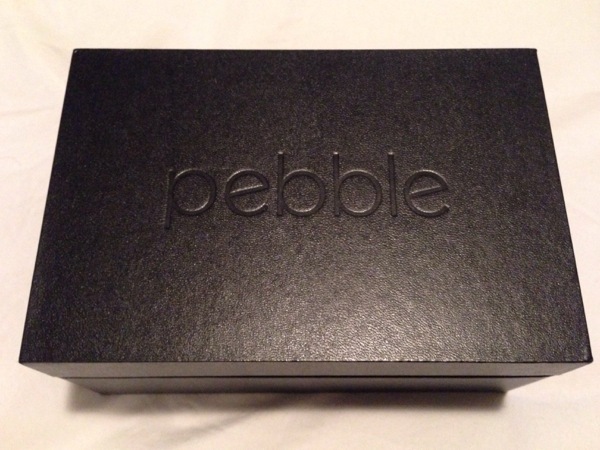 Last year, the Pebble watch was released to good reviews; however, the one problem with it for most people was it didn’t look very elegant. It is a watch that while functional, the style sticks out and looks different than most watches. Now, with Pebble Steel, they have addressed this issue. I just received mine and while it isn’t perfect, I feel like I’m living in the future. 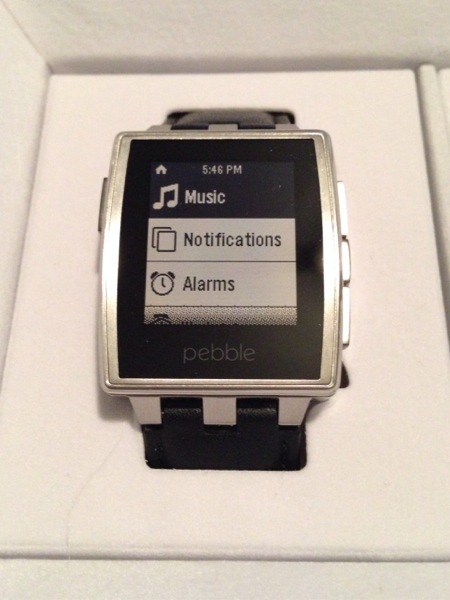 The Pebble Steel looks very similar to other analog watches on the market. It comes with two watch bands, one leather and one steel, to suit either style. It’s thinner than I thought and has good build quality. The setup runs through the iPhone or android app which is free in the app store. Once loaded, the app walks you through connecting the watch to the phone via Bluetooth. It only took about 5 minutes to get up and running. After setup, you can transfer both apps and watchfaces to the watch. It can hold up to 8 added watchfaces/apps. I added Foursquare, Yelp, a twitter client, a couple new watchfaces. The transfer process is only a few seconds for each addition. You can also store apps/watchfaces in the “locker” of the phone app for easy access to transfer in the future. The app store just opened about a week ago and I’m sure developers will come up with new and inventive ways for using the watch in the future. It feels like the iPhone did when they just opened the app store. We are in the infancy of the watch’s abilities and I can’t wait to see what new apps become available. I have to say, it is really nice to have your phone in your pocket and get all your notifications on the watch. It saves me going to my phone and makes notifications more reactionary and less proactive. I don’t have to look at my phone to see what is happening, my watch tells me what’s happening. It has changed the way I use my phone and that is something I didn’t expect it to do. If you are in the market for a watch and are thinking about getting a smartwatch, I would recommend checking out the Pebble Steel.